When it comes to rear surround speakers, the only thing you want to stand out is the sound. 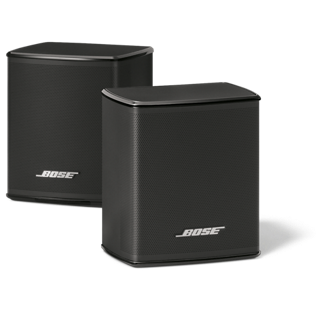 Standing less than ten centimetres tall, Bose surround wireless speakers fit right in. 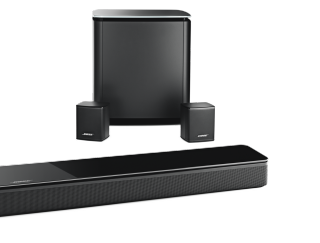 Designed exclusively to pair with the Soundtouch 300 and the new Soundbar 500 and 700 soundbars, these unobtrusive rear surround speakers provide sweeping sound that adds to your movies, sports and TV shows. Want another compact option to kick the performance up a notch? The Bass Module 500 or 700 wireless bass module can complete the package for a full surround sound experience. 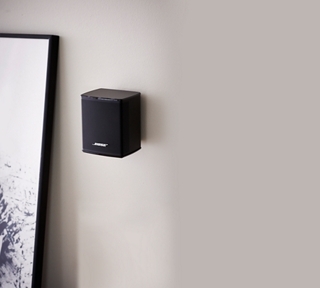 Like the Virtually Invisible speakers, it has a wireless range of 9 metres and fits nicely into any room. Add it to your soundbar and you'll notice the difference between hearing bass and feeling thunder.